Liver, Hepatocyte - Apoptosis in a male B6C3F1/N mouse from a subchronic study. 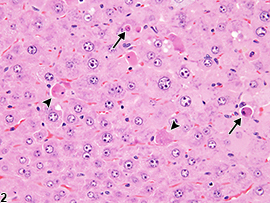 There are slightly shrunken, irregularly shaped cells consistent with early-stage apoptosis (arrowheads) and smaller, rounded cells consistent with late-stage apoptosis (arrows); both have hypereosinophilic cytoplasm and small, fragmented nuclei. 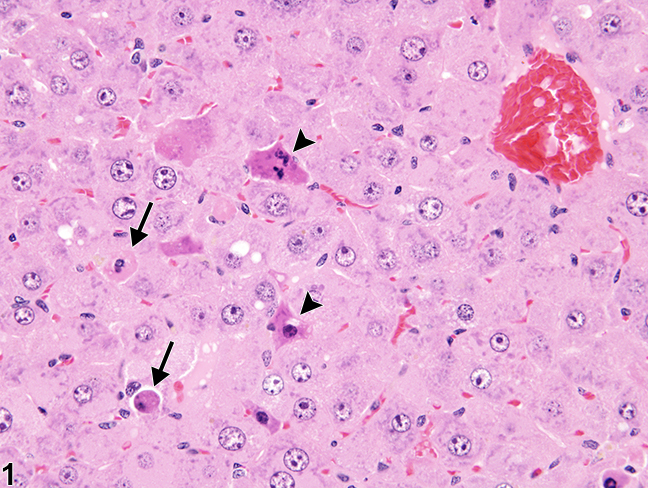 Liver, Hepatocyte - Apoptosis in a male B6C3F1/N mouse from a subchronic study. 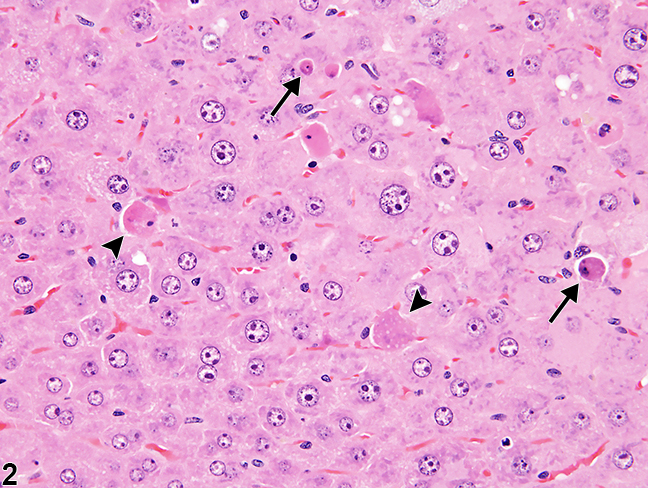 There are small rounded cells consistent with late-stage apoptosis (arrows), and larger, irregular apoptotic cells consistent with early-stage apoptosis (arrowheads).